Pablo Di Canio and Benito Mussolini - Good Friends?? Italian calcio (football/soccer) and Italian politics have been meshed before...but is this latest incident too far? 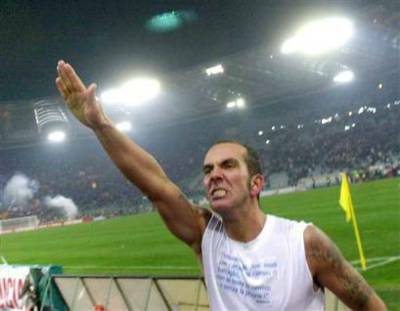 Apparently, Lazio star and team captain Pablo Di Canio was pictured at a match between Lazio and Roma after he scored a goal that ensured his side 3 points. It's known in Italy that Lazio fans have an extreme die-hard neofascist rank among them called the Irriducibili. In fact, Il Duce, himself, used to frequent Lazio events which may be another reason the Irriducibili still reside as Lazio fans. So, as Pablo Di Canio has blown this gesture off as not a political statement, but rather an acknowledgment to a group of his supporters, the rest of Italy are talking about this latest incident in this professional's glittered past (IHT, 1/11). Ok, I've been raving about this game for quite some time now...I just got my hands on a copy a couple days ago and I've had some time to play it here and there. So, let me just start by saying that this is the most UNBELIEVABLE war game I have had the pleasure of playing. I don't consider my self a "gamer" but I do like to sit down on my little brother's Xbox and play for a few. In Call of Duty: Finest Hour, you assume the roles of a number of different characters from Russia, Britain and the U.S. The storyline places you in a war scenario as it appeared to the average citizen/soldier. While the storyline is good, it takes a backseat to the intense action. Literally, this game makes you feel like you are in the warzone...For instance, a large mortar goes off right near you...all of a sudden you are shaken, your vision becomes somewhat hazy, you can't hear anything and you seem to move in slow motion. Such jarring effects definitely give this game an edge compared to other games - such as Medal of Honor, etc. The game is sure to get better the more I play and most of the reviews I have read have given this game the thumbs up. I'm sure the game has its glitches, but doesn't every game have at least some problems? Plus, I am not the uber-dork when it comes to gaming, so I am positive that my untrained gamer eyes have missed some obvious gaming intricacies. Anyway, the game is great - so go out and buy it and let me know what you think! When I woke up this morning I just knew I should have stayed in bed. I woke up at 6:45...an hour too late to make it on time for work. Compound that with snowy roads and an hour+ drive to work - I should have just turned around and went back to bed. I work in the Health Services department of a large financial organization. That being said, I come into contact with alot of people with health needs and know when something arises with an employee. Today the bad news came around noon when the Health Clinic learned that a company employee took his own life this morning at his home. 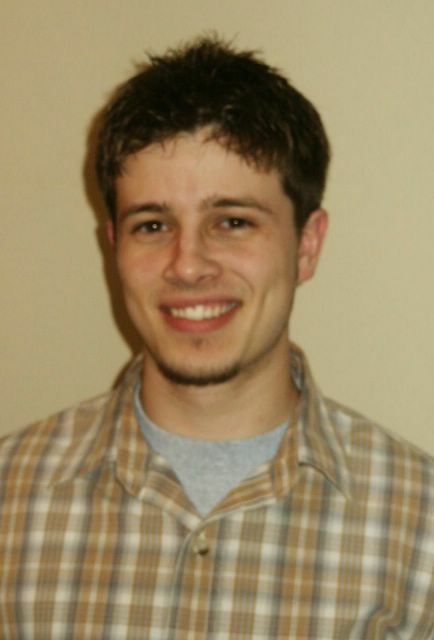 Sad sad news...its the second time in 3 weeks that an employee has died. The day didn't get any better when another employee came into the clinic to see one of the nurses. After stepping into one of the exam rooms, the employee broke down - he yelled and slammed his fist on a counter and threw some papers onto the floor. This out of friction he has encountered with his manager - a problem that apparently has been ongoing for over a year. Being the only male in the health clinic (I'm not a nurse...I just help out with corporate health events and FMLA and DI cases), I was left to guard the door and make sure that nothing happened. It was sad to see this man so frustrated that he broke down and even cried, but it became very tense after he claimed he should shoot his manager. Things eventually settled down and he was allowed to go home. Employee relations contacted him at home and held a conference call with him to make sure that everything was alright. Sometimes we act irrationally and say things we don't mean, yet people still are responsible for their actions. After these incidents, the day carried on in a somber manner. Having even one of these events take place is bad enough, two is extreme. Hopefully the day will get better...after all it's the beginning of a New Year, not to mention it's always easy to laugh looking at how some people would like to claim "disability" just to get out of work! !